Abby’s Night at Cheer Athletics!!! Abby Grace’s Make-A-Wish Disney trip! We are just 3 weeks away from Abby Grace's Make-A-Wish Disney trip! She is so excited to meet her favorite Princess Elsa! 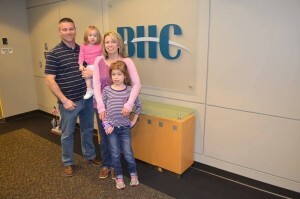 Thank you so much to Brooks (BHC) for sponsoring Abby and Make-A-Wish of NC! May 15th is MPS Awareness Day! 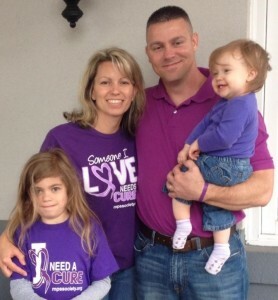 Wear purple or your Abby Grace shirt to show support for those affected with MPS disorders. Abby would love to see a flood of purple and messages on her page! Please help spread awareness for MPS! #Purple4AbbyGrace #CureSanfilippo #MPSAwarenessDay Please visit http://mpssociety.org/ for more information about Sanfilippo Syndrome (MPS IIIA) and other MPS Disorders. The Abby Grace Foundation and Aislinn’s Wish Foundation have joined together to host the Carolina Drive to Cure Sanfilippo on April 28th, 2017 at Highland Creek Golf Club in Charlotte, NC. We are looking for golfers, sponsors and raffle items! Registration information is available at aislinnswish.org/events. For questions, please contact us at abbygracefoundation@gmail.com.